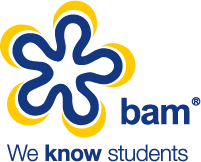 In 2017 BAM wanted to research all things fashion, seeking unique insight into students preferences and buying habits. How much do students spend on fashion? What are student’s favourite brands? What percentage of students shop online rather than instore? Have students style changed since being at University? Does student discount affect where students shop for fashion? How do students prefer to receive the latest fashion news and offers? What fashion brands would students like to see at Freshers’ Fairs? In a saturated market, understanding students motivations to buy is imperative for brands wanting to stand out from the crowd and really connect with the student market. Before you can change perception and habits you must first understand them and your brand position in the market. To receive the full Students and Fashion Survey Report of all our findings, please fill in your details below. If you would like to find out more about how our team can help you analyse and maximise the student market, please get in touch.